NEW YORK — Your sister, best friend or beloved cousin just had her first baby and you'd like to treat your favored newborn to some luxury. But where to begin? Where you live and how you shop — online only, swanky department stores or exclusive boutiques — will help determine your options, along with the fast-moving local trends where your little "royal" resides. The mindset of baby's parents also matters. Do they have traditional taste? Are they modernists? Is laid-back chic, chemical free or New Age more their style? What does actual royalty use? Well, in Britain it's usually Silver Cross. 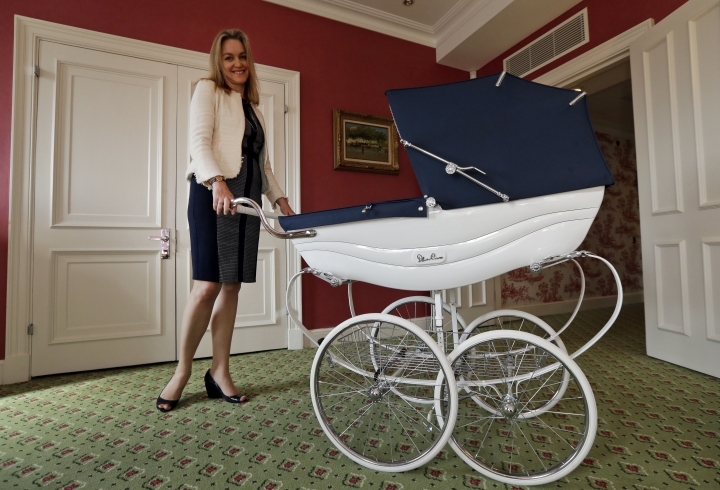 Founded in 1877, the company has been bouncing royal babies in their fancy prams since the birth of King George VI. 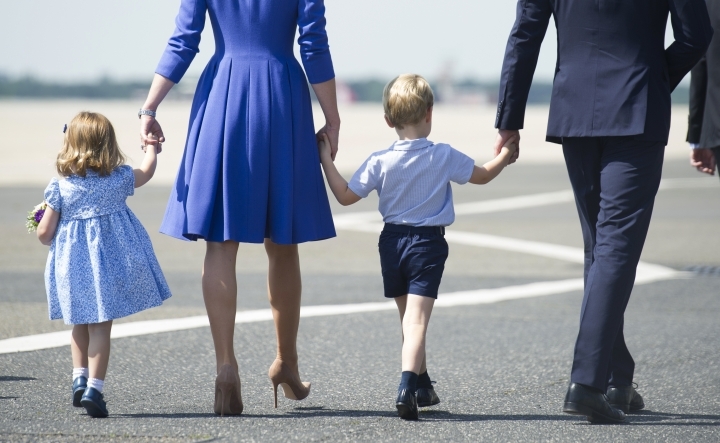 Prince Charles got around in one when he was born and now the three children of Prince William and the Duchess of Cambridge, Kate Middleton, have shared their Silver Cross ride. The company has lots of options if you can't afford the top of the line, hand-built Silver Cross Surf Aston Martin, for example. It's available at Harrods for about $4,000, as is the Marie-Chantal Kensington for nearly $2,000. They convert from carry pram to stroller. Silver Cross is available in stores around the world, including the United States. Too rich for your blood, or simply not the right vibe? Go for UPPAbaby (one in the Vista collection with a bassinet runs nearly $1,000) or a fun and funky Bugaboo. The convertible Track collection from Bugaboo sells for up to $2,000 or so, depending on add-ons. Let's cut to the chase. While thoroughly modern Meghan may choose less traditional looks for her No. 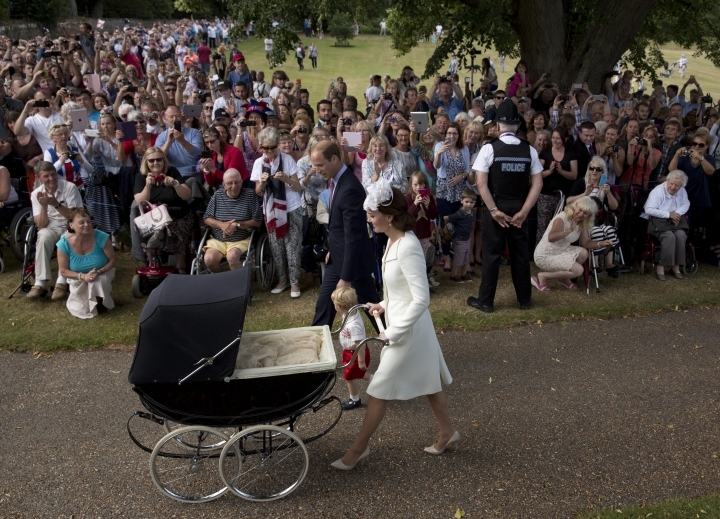 7 in line for the throne, sister-in-law Kate has some favorite British brands for her brood, including No. 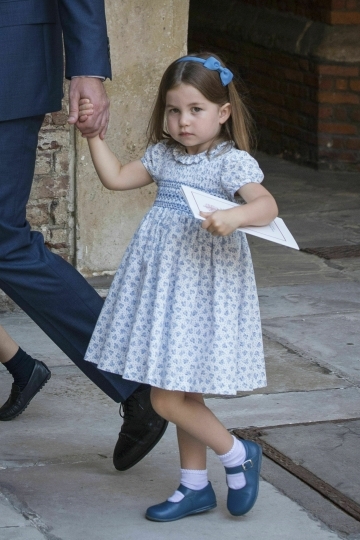 3 Prince George and little sis Charlotte. The bite-size princess is quite the fashion influencer, with some of her smock dresses selling out in just a few hours. Some of Kate's brands: Amaia (Charlotte's $184 burgundy coat for her first day of school), Pepa & Co. (George's whale jumper — think sweater — when he was 3) and My 1st Years, because who can forget that adorable monogrammed robe George sported to meet then-President Barack Obama? Kate's choices aren't always hugely pricey, so don't sweat it. And for Meghan's royal bundle? Meghan the American. Meghan the Californian. Petit Tresor has all manner of gear, nursery furniture and baby blankets, including monogrammed cashmere blankets with crochet trim for up to $700. Elegant Child of Beverly Hills has a selection of Charlotte-worthy party dresses in the $380 to $480 range. For the feet? Perhaps the Duchess of Sussex will hop on the Freshly Picked bandwagon and outfit her baby in a pair of $60 "it" fringe moccasin-style soft shoes. There's a wide range to choose from. There's always that gift option of a keepsake. Take your pick at Tiffany & Co. for silver spoons, cups and baby brushes. Don't miss the company's earthenware banks for $125. They include elephants, pigs and bunnies. Queen Elizabeth II, the Duchess of Cambridge and various other royals and celebrities have been spotted at London's high-end Fortnum & Mason department store. Online, you can find the timeless Harmony Barbell Rattle for 140 British pounds. It's hand-tuned. It has 16 tones. It's crafted from German silver with an ample covering of sterling for added strength. How about you hunt down a rare edition of a children's classic book? Let Abebooks.com drop some knowledge on that. Search the site for the world's most valuable editions. Markle has embraced mindfulness as her pregnancy has progressed. Jerico Mandybur is fresh out with "Neo Tarot: A Fresh Approach to Self-Care, Healing and Empowerment," a beautiful deck of illustrated tarot cards published by Hardie Grant and available on Amazon for $22.48. Mandybur shows how to use the ancient cards and practices as healing tools first and foremost. Just how Southern California the Duchess of Sussex will get when it comes to her baby is unknown. The nursery at Frogmore Cottage, on the grounds of Windsor Castle, will reportedly be eco-friendly and gender-neutral in design touches heavy on gray and white. Will that color scheme take off in baby gifts? Saks Fifth Avenue online sells an Aden (plus) Anais 100 percent cotton baby blanket, the Dream Serengeti, in a gray print with rhinos for nearly $50. Stella McCartney isn't a Californian, but she's feeling "cool California vibes" in the latest from her children's collection. That includes an adorable gray baby jumpsuit (for any gender) with a green and blue snake wending through, done in 100% organic cotton for $80. There's a palm tree print in blue, yellow and green on a gray T-shirt for $58. British designer. Check. California cool. Double check.